Our landscape professionals can customize and install a unique landscape based on your needs and space, while enhancing the value of your commercial or residential property. Whether it’s new construction or a renovation, E.Z. Landscape has the resources to provide high-quality landscape installation from concept to completion. E.Z. 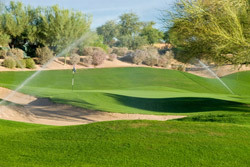 Landscape offers many solutions to common outdoor problems; such as irrigation and drainage issues. E.Z. Landscape also custom designs outdoor landscape lighting, which adds beauty and security to your home or residential property.